Here’s the quick summary: Richard Bradford pairs high gossip with slightly fawning, often reductionist literary analysis; both parts sloppily written—but the high gossip, for those who like that sort of thing, is wholly absorbing, if not exactly edifying. Martin Amis, the son of Kingsley Amis, one of postwar Britain’s most important novelists and a writer of strikingly limpid and correct prose, is the author of a group of coruscating and galvanizing novels, including, most successfully, The Rachel Papers and the London Trilogy—Money, London Fields, and The Information. He is also a very funny, thoughtful, and humane literary critic. All of his work testifies to his assertion that style “is not something grappled on to regular prose; it is intrinsic to perception,” and for better and worse, no one in the past 40 years has exercised a greater stylistic influence on British writers. So he’s a fitting subject for a serious critical-biographical treatment. 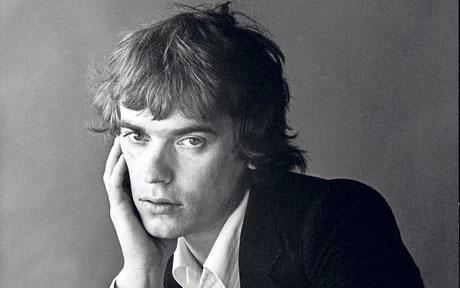 Bradford—who has written biographies of Kingsley Amis, Philip Larkin, and Alan Sillitoe (and thus is deeply familiar with the literary milieu of which Martin Amis remains somewhat in awe)—assiduously relates Amis’s pinball couplings, along with Amis’s immersion in both the glittery/high-literary and louche/yobbish worlds. But Amis’s fine, contemplative memoir, Experience, is in many ways more revealing (though more discreet) and in nearly every way more unsparing. Bradford, though, is more severe and hence probably more honest about Amis’s father, a philanderer and drinker of Stakhanovite energies and resourcefulness—which renders his too-brief portrait of Martin’s chaotic (to put the best spin on it) childhood somewhat harrowing and greatly touching. In his assessment of Amis’s fiction, however, Bradford is far too partial to finding a too-neat correspondence between the Life and the Art. Decades ago, Amis bemoaned literary biographers’ tendency to see their subjects’ writing as “a stupefied outpouring on the life”: “this poem ‘reflects’ these events, that poem ‘lays bare’ those tensions.” Amis has now been subjected to the very process he derided. The writer that Bradford reveals differs in important respects from the literary Lothario the British press obsessively chronicled. Amis, a man whose conscientiousness largely defines him, has a puritanical work ethic: even as a London gadabout, he was always at his desk by 8:30 a.m. at the latest. His celebrated prose style, his imitators should take note, is owing not just to great gifts and tireless effort but to his profound and hard-won knowledge of his country’s literary history. At Oxford, Amis almost entirely eschewed a social life; he applied himself to learning deeply, widely, and intricately the long span of English literature, and won a congratulatory first (highest honors). The most appealing aspect of this book is its summoning—with, as Bradford acknowledges, “incredulity and envy”—of the spirit, atmosphere, and conversation of the literary culture of London in the 1970s (a period about which Amis has remarked, “It amazes me, now, that any of us managed to write a word of sense during the whole decade, considering that we were all evidently stupid enough to wear flares”). 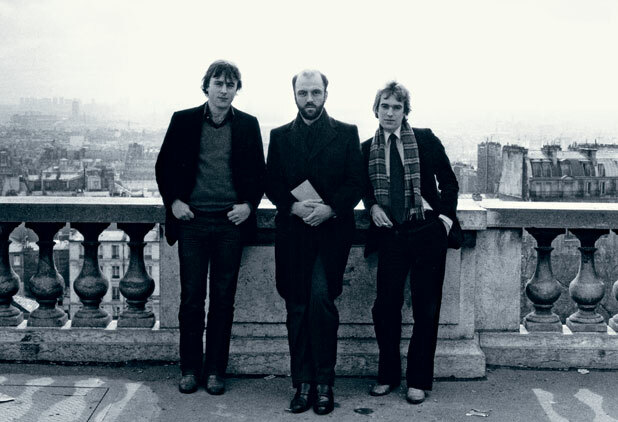 Bradford’s cynosure is the remarkable band of then-young men who made up Amis’s inner circle—Clive James; James Fenton; Ian McEwan; Amis’s best friend, Christopher Hitchens; Ian Hamilton; Francis Wheen; and (until their famous break) Julian Barnes. It’s a collective portrait of a collectively formative experience—see Amis’s, James’s, and Hitchens’s memoirs—that makes the young literary men of today, sad and otherwise, seem overpoweringly ignorant and purposelessly ambitious.